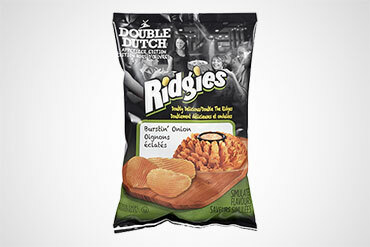 Old Dutch Foods has changed the snacking game with their new “Double Dutch™ Thick Ripple Appetizers” potato chips. The word “appetizer” is a clear hint to the flavour profiles they have developed: Bacon Cheeseburger Sliders, Buffalo Wing and Blue Cheese Dip, Calamari & Tzatziki Sauce, and Burstin’ Onion. The fact that these sound like your favourite restaurant appetizer menu is no accident. On behalf of the 10,000 families who call a Canadian Ronald McDonald House home each year, I would like to thank Old Dutch Foods for supporting the 2011 AGRI-FOOD Ski Day at Osler Bluff Ski Club. 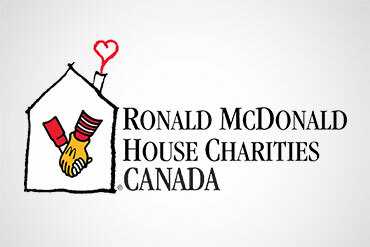 By sponsoring this event, your company had an active role in helping put on a wonderful event, which raised over $2,000 for Ronald McDonald House Charities (RMHC) of Canada. We hope you will again support this great event planned for February 16 2012. Old Dutch Foods Canada has a number of new and exciting items to add to the Old Dutch family this year. All of the new items mentioned below will be available to consumers on February 27, 2011. One of Old Dutch Foods top priorities is to continue to provide Snack Wise™ offerings in hopes of making it easier for consumers to enjoy a healthier lifestyle. With that being said, Old Dutch welcomes a Cheddar & Sour Cream flavour to the Baked Potato Crisps Family – now everyone can indulge with a targeted blend of flavours that are sure to satisfy with no MSG, no artificial colours, no artificial flavours and only 4 grams of fat per 50 gram serving. This item is available in a 200 gram “take home” size, 55 gram extra large single serve size and a 32 gram single serve size. Old Dutch Foods Ltd. is pleased to provide premium Baked Potato Crisps products to Bask-It-Style™ by Jsquared2 Public Relations during the 2010 Toronto International Film Festival (TIFF), running September 9 - 19. Old Dutch® Baked Potato Crisps will be one of Bask-It-Style’s unique sponsors in the snack category. Personalized gift bags destined for the stars will include an assortment of Old Dutch® Baked Potato Crisps, including flavour favourites such as Original, Salt & Vinegar, Creamy Dill and new Ketchup. With 0 trans fats and low in saturated fatty acids, Old Dutch® Baked Potato Crisps are a Snack Wise™ alternative to regular potato chips. Celebrities and media alike will enjoy a quick and delicious better-for-you snack amidst the lights, cameras and action of TIFF. Old Dutch Foods Ltd. for a second year in a row has been awarded with the LIVERight™ Award for ‘Best Snack’.